Jean Stockdale... : Blog Hop! Lisa Harper is a favorite Bible teacher of mine. She has a great sense of humor, a very quick wit, and an unbelievable grasp of God's Word. She has written several books. You can find all of her books by clicking here. "A Perfect Mess" is her newest one. I have not read it yet but I know I will love it just by the title alone. Lisa is a great writer and Bible teacher with the ability to use her storytelling skills to apply God's Word. 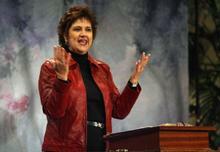 Lisa is also a speaker in Women of Faith. So you know she is great. They don't invite just anybody to speak in those, don't you know! I have gotten to meet Lisa through the ministry and she is one of my all-time favorite people. Ray-Ray and I drove to Nashville just to meet her for lunch at The Cheesecake Factory. We shared candidly about the intricacies of ministry. I hung on her every word and she quickly became a forever friend! Seriously sisters, do yourself a favor, and read Lisa Harper's stuff. You will be blessed beyond measure. Friends, she is the REAL DEAL. And guess what? Kim Hill is her best buddy. Click here to go to Kim's website. Order you up some great Christian music to listen to while you are reading Lisa's books! And while I am wildly dropping names and claiming to be bffs (best friends forever) of these women because-after all-who is gonna challenge me, let me encourage you to read "When God's Woman Wants to Give Up". Like Lisa, Diane is the REAL DEAL. Ray-Ray and I have recently met Diane Nix, and like Lisa, we became fast friends. Diane is married to Preston Nix who teaches at the Southern Baptist seminary in New Orleans. 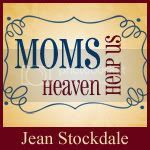 Diane writes about the grace of God as it applies to the hard places of life using the Old Testament story of Job's wife. Diane has suffered the loss of a child, a painful church experience, the death of her dad, and the loss of everything in Hurricane Katrina (she and Preston moved to New Orleans 2 days before Katrina). This is one lady who has walked through the crisis of a broken life only to emerge as God's masterpiece! You will love her book and you will get a fresh glimpse of Jesus and His unmerited favor. Happy reading! Now I have told you my favorite books. What are yours? I dearly love all the wonderful traditions of the Christmas season. As a time set aside to celebrate the glorious birth of our Lord and Savior Jesus Christ, I rejoice in the truth that God became a man and was born in a manger in order to redeem lost humanity. Hallelujah! What a Savior! The theme for his week's Blog Hop is Favorite Photos. Now that is a tough one. Narrowing down my huge collection of photos to just a few is challenging, but here goes! Grayson, in a pensive mood. Declan sitting outside next to the goldfish pond. The theme of this Blog Hop is Anything That Makes You Feel Good. If you are 14 months old, jumping in pillows is high on the list. Especially if Daddy is part of the fun! I recently spoke to the mommas at First Baptist Collierville. These sweet mommas have done 6 of my Bible studies and we have a very special bond. They were the first church outside Bellevue Baptist to do one of my studies, which is why I refer to them as my first-born and make it a point to visit with them as often as I can. When I finished speaking, this was given to me. It is made from driftwood from the Mississippi River by 2 girls who described themselves like this: "We are two girls raised near the Mississippi River, we were molded and shaped not only by the area and culture, but most importantly our faith in Christ, through the LIving Water, much like the driftwood from the river that we use to make our crosses. which the world has been crucified to me, and I to the world." We Will Not Forget . . . This week's Blog Hop theme is "REMEMBERING 9/11". Lets honor those who lost their lives on that day, and since then, because of 9/11 by posting our thoughts. I cannot believe we are coming up on another anniversary of September 11th. The images of that day are burned into the memory of America. We were plunged into national grief and terror. I got up and turned on the Today Show. I had dressed and had my tennis shoes in hand. I dropped into my husband's leather chair and propped my feet on the ottoman. As I slipped on my tennis shoes I heard Katie Couric giving the news report. As she and Matt Lauer bantered about the day's news Katie said she had just received word that a plane had struck the World Trade Center. Matt said they could only assume it was a small plane that had strayed off-course and had a tragic accident. Within moments we all found out that it was much more. For all you lost loved ones, our hearts ache for you. For all who bravely rushed in to rescue and save, our hearts burst with pride and we applaud your bravery and courage. For all who gave their lives that day, we salute your heroic actions. For all you still bear scars - physical ones or emotional ones - we sympathize with you. For all who served in any capacity, we are thankful for you. This is one of many favorite pictures of our grandson, Declan. And this is our grandson, Grayson. These are 2 of my favorite photos and these are 2 of my favorite people. This week, on Tuesday, 7.7.09 the theme is FAVORITE PHOTOGRAPH. Now for my grandmother's heart, that is a tough one. To limit myself to one picture would be impossible. So I will post both of the Baby Grands. I cannot say with absolute certainty that these are my all time favorite photos or not, but these are DEFINITELY my FAVORITE GRANDCHILDREN! Of that I am certain!